So here is the first creation which is the most simple, this was in fact Laurens idea. It consists of two canvases 2.5m X 0.3m connected to each other by plastic covered braided wire. 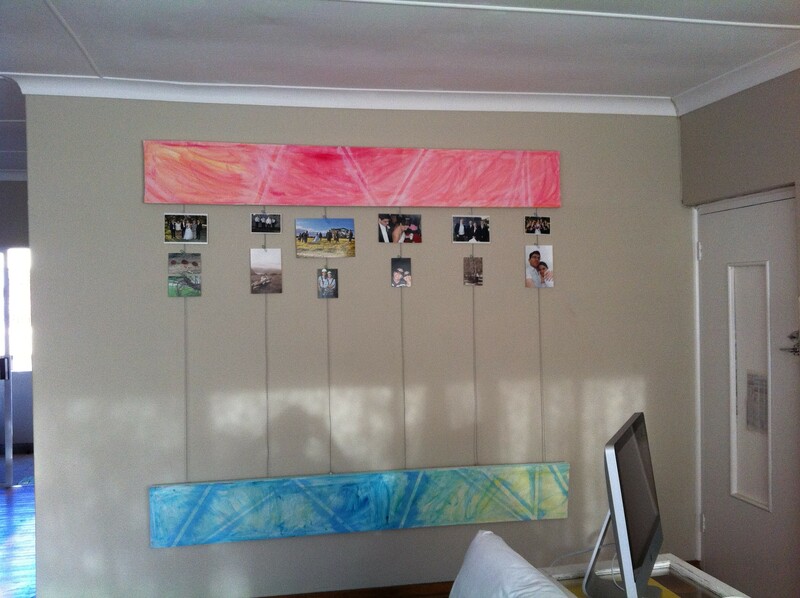 The Photos are attached to the wire with Large paperclips.